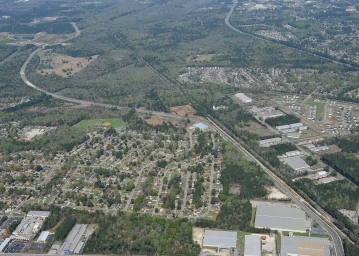 This four-mile, design-build new-roadway construction project joins Phase I of Palmetto Commerce Parkway and extends to Ashley Phosphate Road. 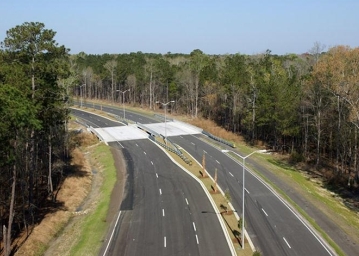 This was the first design-build road project for Charleston County’s Transportation Sales Tax Program. 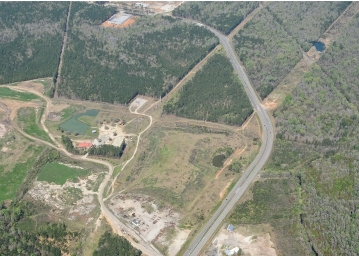 The roadway includes a four-lane section with a raised planted median and an eight foot multi-use, asphalt pathway, with both rural and urban roadway sections. Included, were four bridges, one of which was approximately 750 feet long. 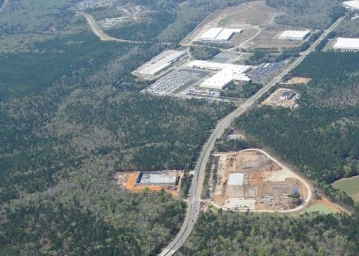 Professional services provided for this project consisted of all design for preliminary engineering plans, construction engineering inspection, surveying, geotechnical services, scheduling, permitting, and utility coordination. Once selected for the project, ICE worked with the contractor on Value Engineering ideas and proposed modifications to permits to reduce unnecessary bridge lengths to the County which resulted in more than $10 million in savings. The VE also required an extensive hydrology study of the floodplain area to size the bridge spans. 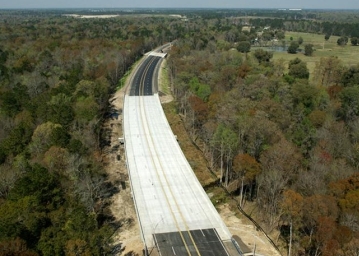 This project was awarded an ACEC 2012 Engineering Excellence Award. This project consisted of design and construction of four miles of limited access, four-lane divided, urban freeway facility that included four bridge structures, multi-use paths and landscaping. ICE performed value engineering and proposed the reduction of bridge lengths which saved the County $6 Million. In addition, ICE was responsible for the design of final roadway plans, CE&I, surveying, geotechnical services, scheduling, permitting and utility coordination.